My drive tends to go higher than required. I want more distance I have a Calaway Diablo 13.5 loft I have a tendency to leave the club face open when I hit my driver, causing a block or a slice. 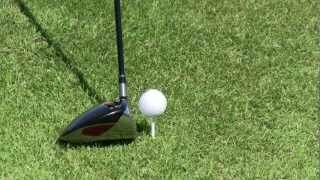 What can I do to ensure I close the club face upon impact? What does it mean to get too "quick" with my driver? I have been told that I am too quick and I end up with a pull hook. What is the ideal ball and set up position for a tee shot using the driver? Any advice for selecting a target when teeing up a driver? Do I pick a section of the fairway, an object (such as a tree) in the distance, or something else? 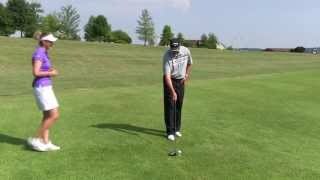 Does teeing the ball lower allow for greater control? If so, why don't all golfers tee the ball low when hitting the driver? What does it mean to load up on your right side with the Driver. Some LPGA players look like they do and some don't? How can I not over swing?